French beard enthusiast and ‘Dark Web’ drug dealer plead guilty to drug distribution conspiracy charges following his arrest last August. 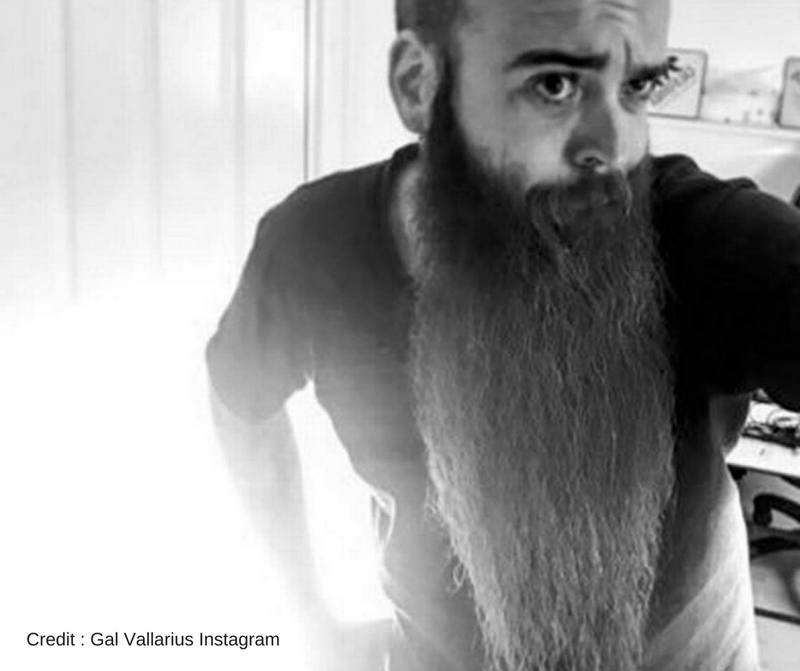 Gal Vallerius, 36, was arrested at the Hartsfield-Jackson Atlanta International Airport while on his way to the World Beard and Moustache Championships in Austin, Texas. He had traveled from Paris to compete in the full-beard category. Vallerius entered his guilty plea in Hebrew using an interpreter at his hearing on Tuesday in a Miami federal court. He is one of the most unique drug-traffickers seen in Florida to date, as he holds French, Israeli and United Kingdom citizenships, and at some point may serve time in any one of his three home nations. “At this point, we don’t know which specific country,” Assistant Federal Public Defender Anthony Natale told Judge Robert Scola. The bearded wonder is complying with federal agents and has agreed to cooperate with investigators including testifying against other suspected drug traffickers, including working in an undercover capacity, in exchanged for a reduced sentence. Prosecutors are recommending that he spend 20 years behind bars, half of the statutory maximum. He was known online as the “OxyMonster” on the Dark Web. He became an Oxycodone and Ritalin vendor in 2013 and climbed the ranks through a series of ratings systems like Yelp for drug dealers. Eventually he was made an admin and then senior moderator of the “Dream Market”, a specialized area within the Dark Web known for buying and selling illicit drugs. While apprehended, federal agents confiscated his laptop, which had installed the TOR app, which is used to access the Dark Web and his login credentials for Dream Market. Further on, Vallerius’ Bitcoin account held nearly $500,000 in the digital currency. The site listed 94, 236 drugs, paraphernalia and digital services the “OxyMonster” was listed as being the senior moderator of. Agents believe “By virtue of the size and scope of the marketplace … it was the intent of the operators and vendors on Dream Market to distribute” more than 450 kilos of cocaine, 90 kilos of heroin and 45 kilos of methamphetamine, in a statement released. Agents were able to make multiple online purchases of Hydrocodone, meth, LSD and receive it all through U.S mail in South Florida. The investigation came to a close after years of cooperation with multiple agencies, including the DEA, FBI, IRS, Homeland Security Investigations and the U.S Postal Inspection Services. DEA agents identified Vallerius’ screen name as a vendor who shipped his products from France to anywhere in Europe and the US. His bitcoin account was inked to address that was in his name on Localbitcoins.com. They also compared Vallerius writing styles on his social media accounts, with similar words being used in conjunction with double exclamation points, his use of quotation marks and the word “cheers” being used in both social media and Dream Market listings. U.S. District Judge Scola has set a sentencing hearing for Sept. 25, nearly a year after his August 30th, 2017 arrest.